Many people who have a passion for the game of golf share a similar story in that golf saved their life. PGA of Canada professional Brian Gallant of London shares that story. And today, he passes that passion onto golfers of all ages so that they, too, can learn life’s lessons while enjoying golf their entire lives. 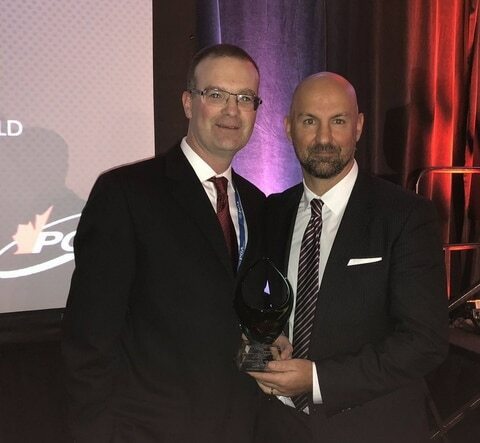 Golf Canada CEO Laurence Applebaum presents Brian Gallant with the Future Links Facility of the Year Award. Photo: Golf Canada. Gallant, 41, who operates Performance Golf London at his Oxford Street West indoor centre, and is head coach of the London Junior Golf Development Centre (LJGDC), is hands down one of the most involved golf coaches in Canada. His latest accolade comes with Golf Canada’s 2018 Future Links Facility of the Year Award, given to Gallant and his junior golf partner FireRock Golf Club in Komoka. 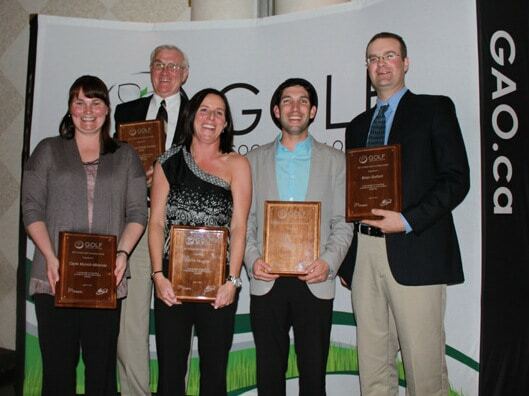 Brian Gallant (far right) with Golf Ontario’s 2011 Recreational/Participation Coach of the Year Award. Photo: Golf Ontario. In fact, putting fun into the game is Gallant’s calling card. 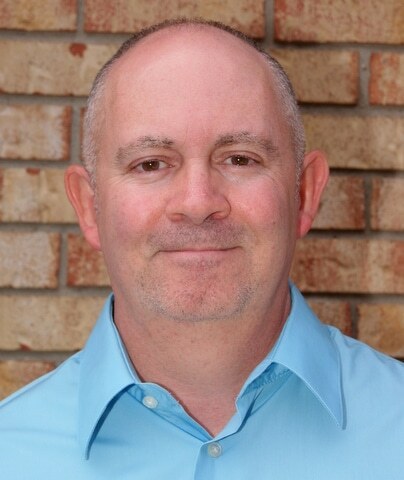 In 2005 he began working at Tangle Creek Golf Club in Barrie and opened a golf academy – his first coaching post. Soon afterwards he relocated to London with his wife, Christy, a pedorthist who secured ownership of a local practice. Today she works in the same Oxford Street building shaping orthotics, while next door Brian shapes the careers of golfers of all ages. In 2006, Gallant reached out to FireRock’s then-director of golf, Jake Norris, and began what has been a long relationship with the upscale public club. He launched his junior golf programs in 2009. Two years later he acquired the indoor Virtual Golf Academy from PGA of Canada pro Mike Newman, and established the not-for-profit LJGDC, which is aligned with Golf Canada and the National Junior Golf Development Centre. Headquartered at his Oxford Street digs since 2016, Gallant has also been an active Golf in Schools participant, teaching the game of golf in a fun, interactive manner while in character as Mr. Knickers, Golf in School’s mascot instructor decked out in plus fours and newsboy cap. But don’t let the outfit fool you. 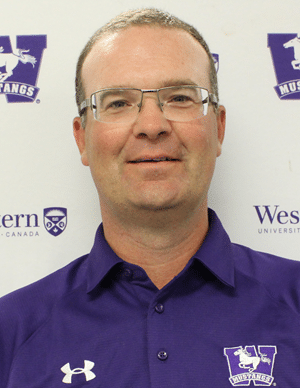 Gallant is also the sophomore coach of the Western Mustangs women’s golf team. And he’s a well-decorated instructor with multiple coaching excellence awards from Golf Ontario, and now Golf Canada. A four-year member of the Future Links advisory board whose goal is to retool and reshape programing for junior golf across Canada, Gallant is also tied to Oxbow Glen Golf Course in Komoka where LJGDC golfers hone their skills. He has helped introduce six tee blocks at the club in 2019 in order to speed up the game and make it fun again. While making the game enjoyable for golfers of all ages is his life-long passion, Gallant coaches elite golfers, too, like London’s Cam Kellett, 19, winner of the 2018 Ontario Men’s Match Play Championship. The St. Thomas Golf and Country Club and Highland Country Club member will leave Div. 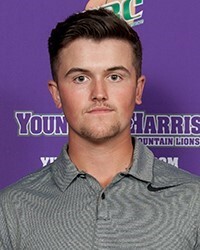 II Young Harris College in Georgia this spring to play for the Div. I Nevada Wolf Pack in Reno, NV beginning this fall. Kellett, a high school hockey player with St. Thomas Aquinas Flames, is a good example of how playing multiple sports can help in overall development, Gallant said. “I’m a big believer in kids being involved with many different activities. If they end up being competitive golfers, great. But golf is a life-long passion, and just enjoying the game is important. That’s why I try to create an environment which will want kids to play the game for a long time,” he said. Indeed, massage therapy’s loss is golf’s gain. Jeffrey Reed is an award-winning golf journalist and a member of the London sports media since 1980. His third book, The Canadian Seniors’ Golf Association, Celebrating 100 Years of Seniors Golf, was published in 2018. Reach Jeffrey at jeff@londonontariogolf.com.